Retail CD-keys are now redeemable on GOG.com or Steam using the reclaim page. Use the Multi-Patch to replace GameSpy features. TAGES Solidshield DRM. StarForce DRM for Russian release. It has been disabled via patches. The latest version of the game is Patch 1.5.10. 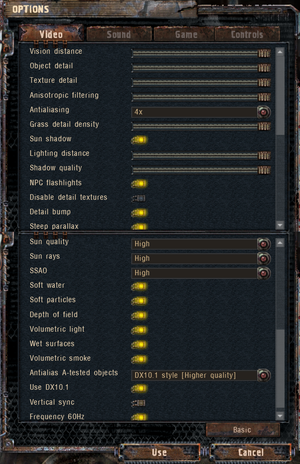 This version allows for additional effects with DirectX 9 rendering that were previously reserved only for the DirectX 10 renderer. It also fixes many game breaking bugs, improves overall performance and fixes some problems with Tages DRM. The Multi-Patch replaces the GameSpy master servers and optionally forces Vsync. The Steam version is already patched. Apply the S.T.A.L.K.E.R. : Clear Sky intro skip. The Sky Reclamation Project (SRP) is an unofficial patch which fixes bugs that remain in the latest official patched version of the game. Clear Sky Complete focuses on improving graphics, sound and gameplay. A limited range of bug fixes is also included. 90° (65° Vertical) - See Field of view (FOV). Use Borderless Gaming or similar software. Up to 4x MSAA + Transparency Anti-aliasing. In-game Vsync option is broken. Use the Multi-Patch to fix it. Copy it to the installation folder. BACKUP your original xrgame.dll somewhere. In the case of problems just copy it back. Use the mouse wheel to scroll through all available variants. In the opened window enter the number from 1 till 52 depending on your game version and chosen FOV. 1. Go to the main OpenAL Soft page and download both Windows binary and the source code. 2. Unpack soft_oal.dll from bin/win32 directory in Windows binary archive, rename it to wrap_oal.dll and replace the existing one located in bin folder of the game. 4. Save it and then run the game. 5. 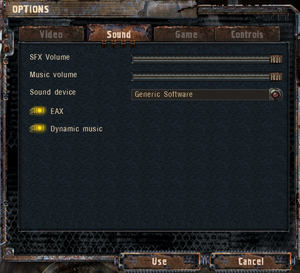 Go to the Options→Sound and change the Sound driver to OpenAL Soft and restart the game. 6. Open up the developer console using ~ and scroll up using the Page Up key, if the message says. Then the OpenAL Soft device is used and with it, HRTF mode as well. 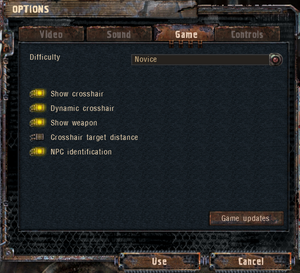 Features optional Polish voice-over translation. Use the Multi-Patch to replace the GameSpy master server. 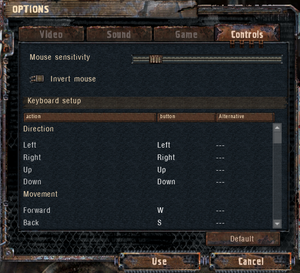 See Helix Mod: S.T.A.L.K.E.R. : Clear Sky (DX9). The GameSpy master server has been shut down; use the Multi-Patch. 8, 9, 10, 10.1 Bound to the lighting renderer. 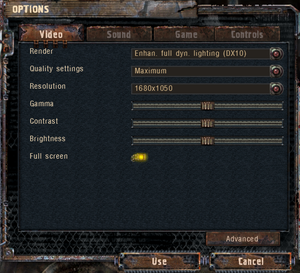 DirectX 10.1 support was added in version 1.5.06. ↑ 1.0 1.1 File/folder structure within this directory reflects the path(s) listed for Windows and/or Steam game data (use Wine regedit to access Windows registry paths). Games with Steam Cloud support may store data in ~/.steam/steam/userdata/<user-id>/20510/ in addition to or instead of this directory. The app ID (20510) may differ in some cases. Treat backslashes as forward slashes. See the glossary page for details. 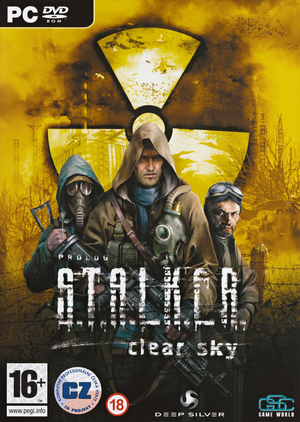 ↑ FILEnetworks Blog: S.T.A.L.K.E.R : Clear Sky (English) - Cracked or not? This page was last edited on 1 April 2019, at 02:12.